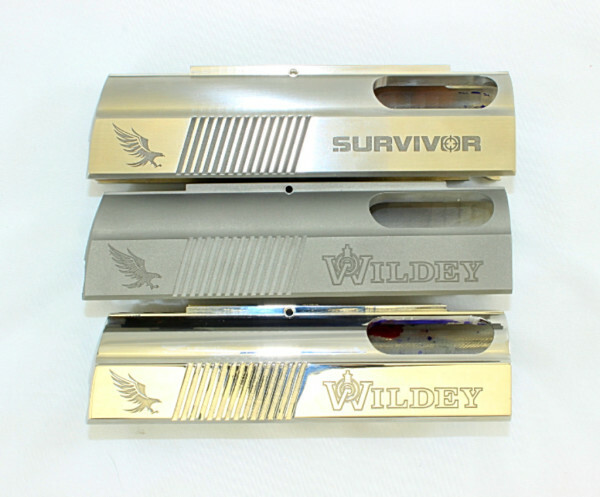 These slides show the three available finishes: Brushed Stainless, Matte Stainless, and High Buff Stainless. 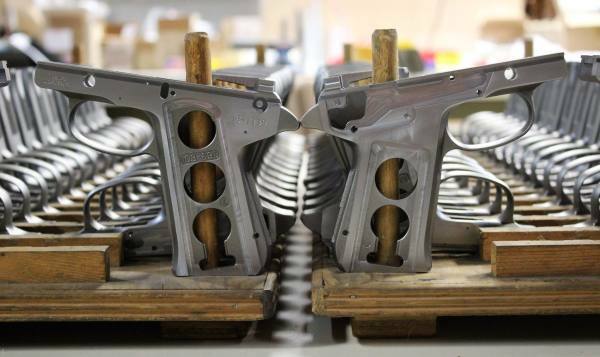 Machined frames ready to go to buff. 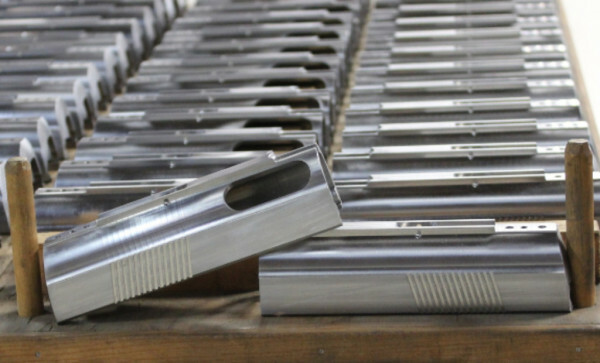 Slides machined from bar stock, ready to go to buff. 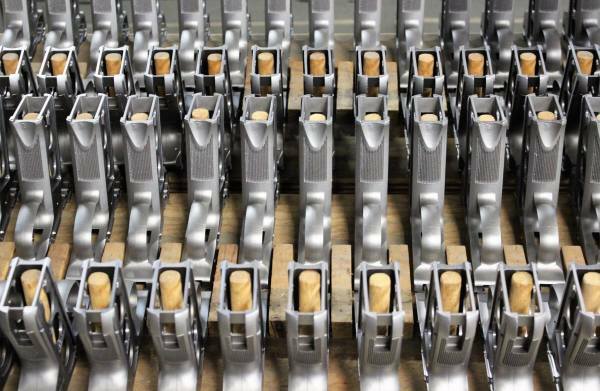 Barrels before being marked, dovetailed, or buffed. 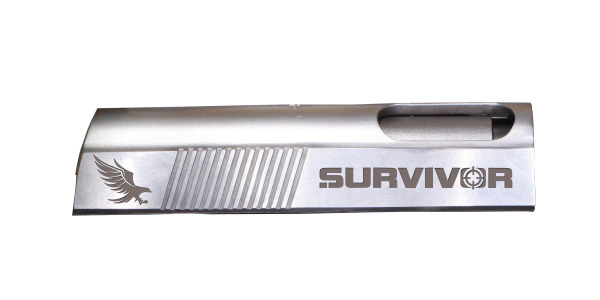 Brushed stainless slide with the Survivor logo. Brushed stainless slide with the Wildey logo. 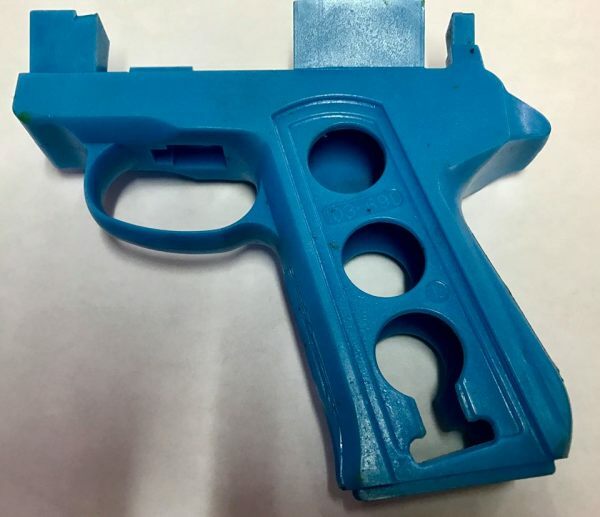 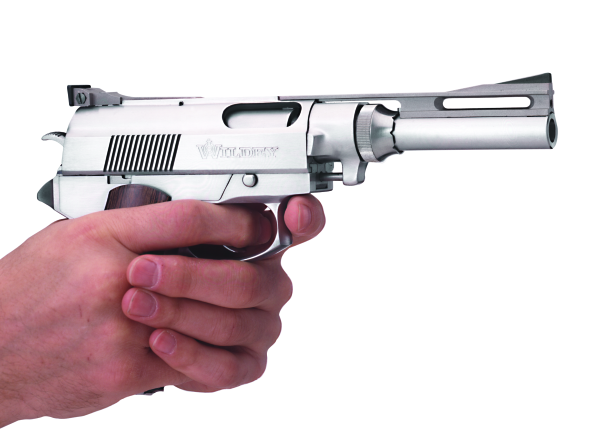 New parts for the Survivor pistol. 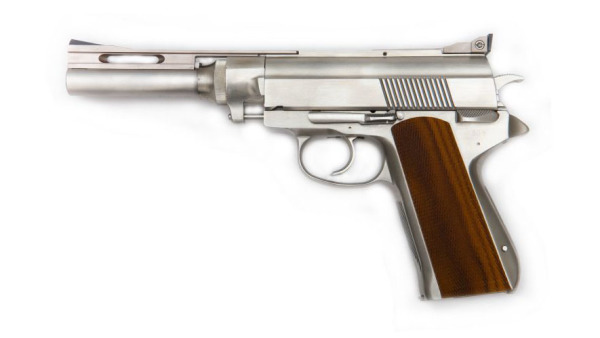 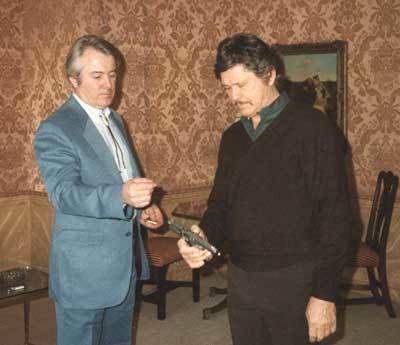 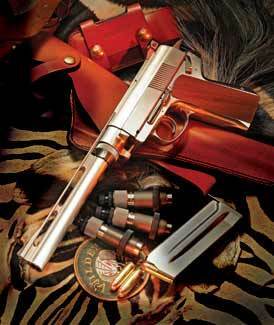 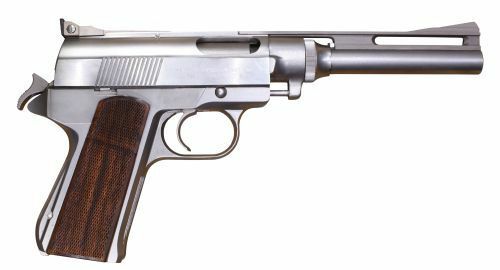 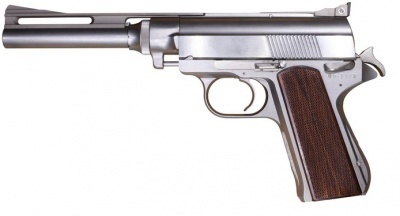 Classic Wildey Survivor with guardsman trigger guard. 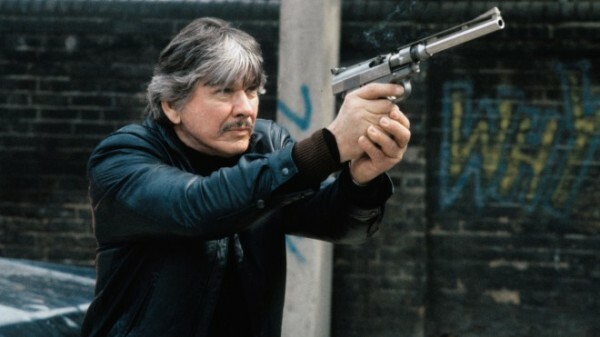 Charles Bronson with the Wildey Survivor in Death Wish 3. 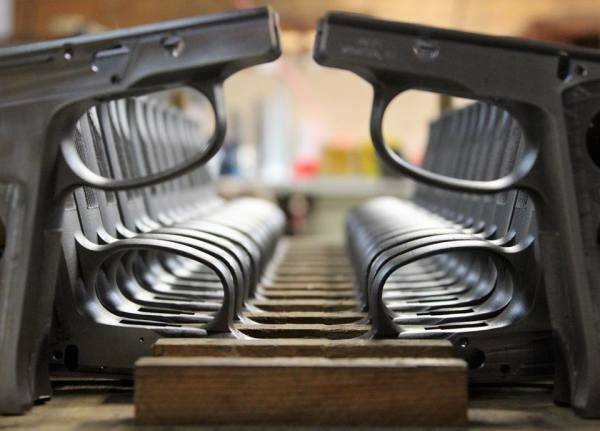 Barrels before being marked, dovetailed, or buffed. 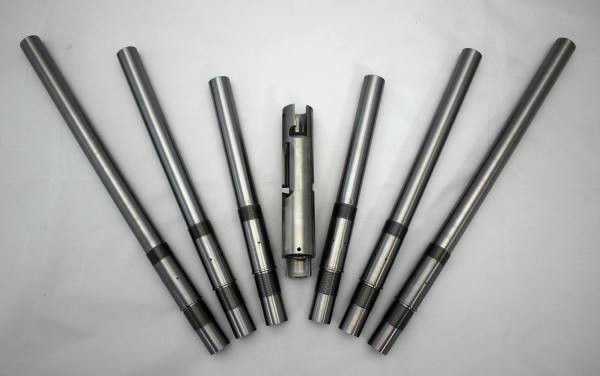 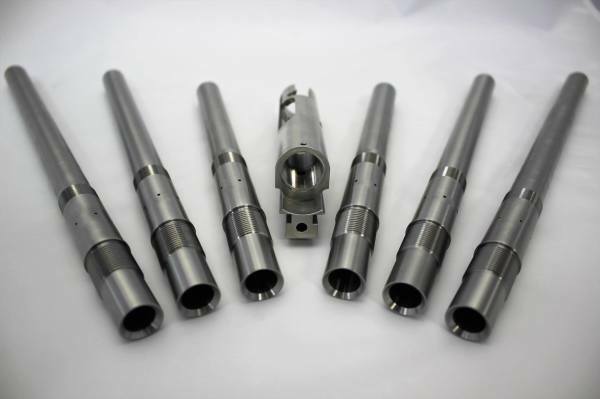 Shown in 12", 10", and 8" lengths. 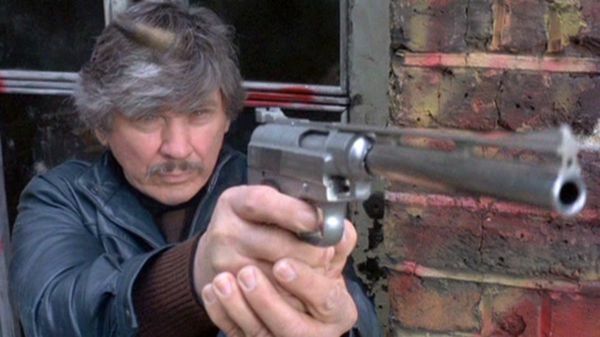 Charles Bronson and Wildey Moore on the set of Death Wish 3. 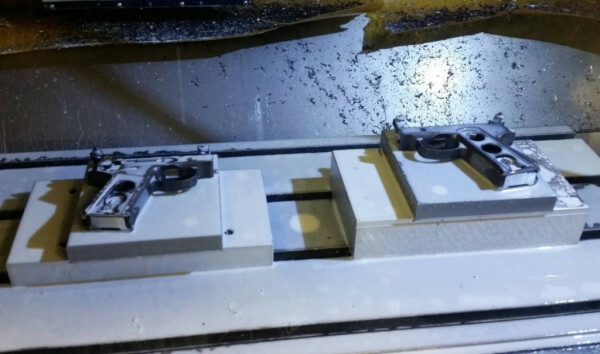 Frames being machined from casting. 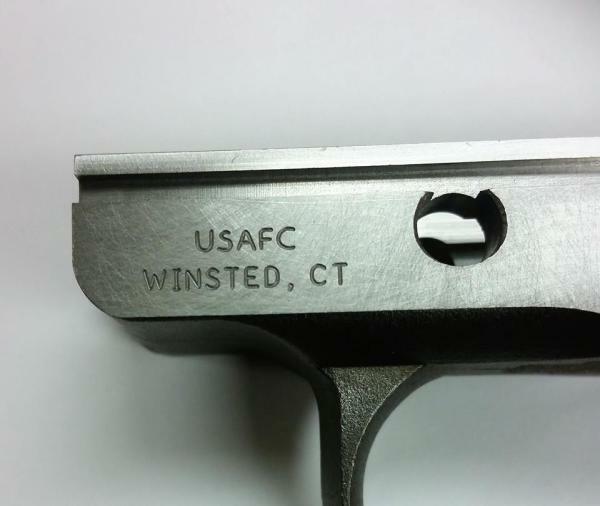 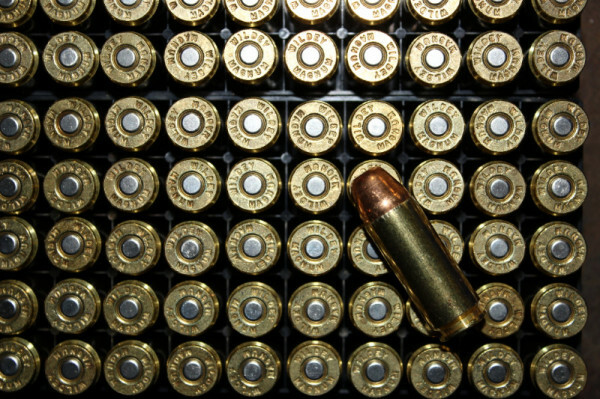 A frame marked with USA Firearms Corp's location. 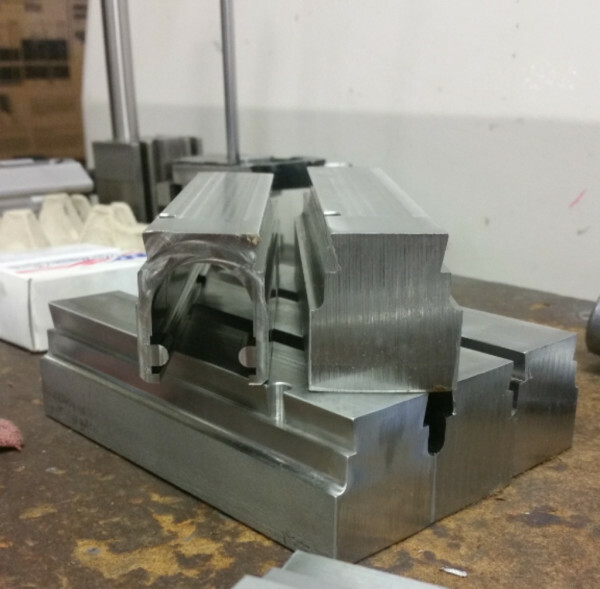 A mold for the frame casting. 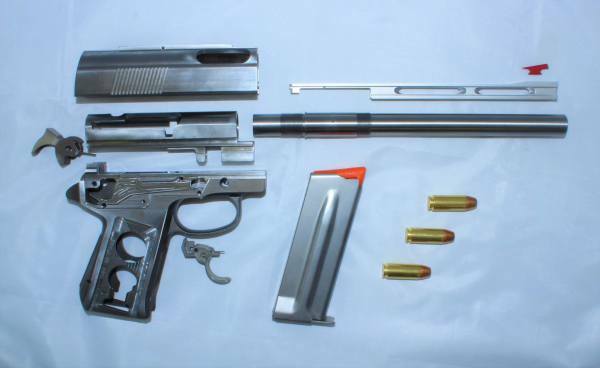 Bar stock that the slide starts from. 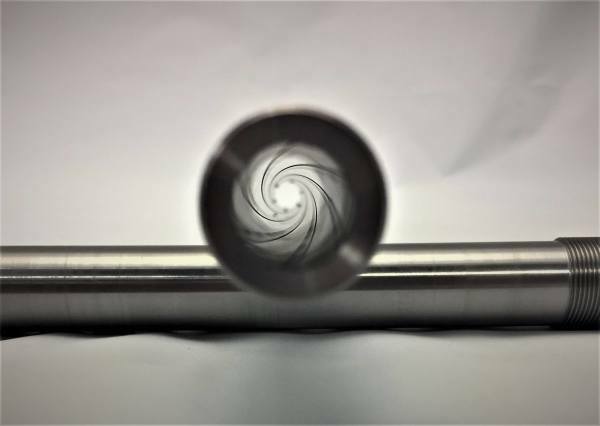 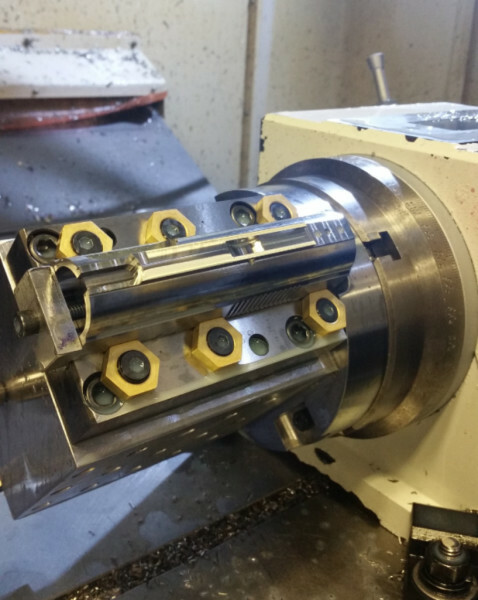 Slide being machined from bar stock. 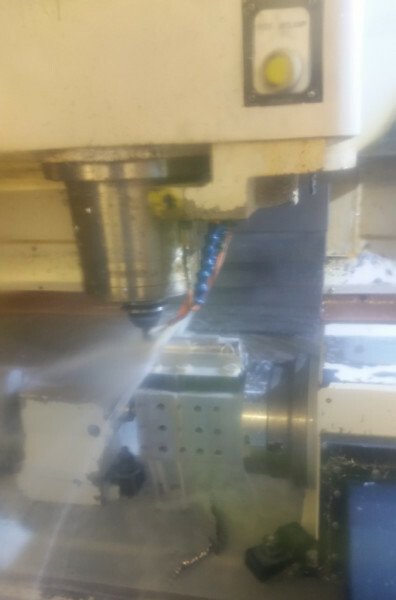 A slide on the machine.